Former Sen. Richard Lugar has been sounding the alarm about the dangers of nuclear arsenals for decades. But even he did not always fully grasp the threat. In a recent interview, he recalled a moment of revelation about 15 years ago. “I was in the eastern part of Russia. And I'd gone down into a tube where they pulled out a very large missile that had at least a dozen warheads, called independent re-entry vehicles, that could reach all different destinations. That day in the missile silo, Lugar looked for but did not see a photo of Indianapolis. But when he got back to Washington, D.C., he asked someone at the Pentagon whether his native city had been a target. The answer shocked him. “They told me, 'Well, certainly, any city of any size in the United States was targeted by warheads from the former Soviet Union.' 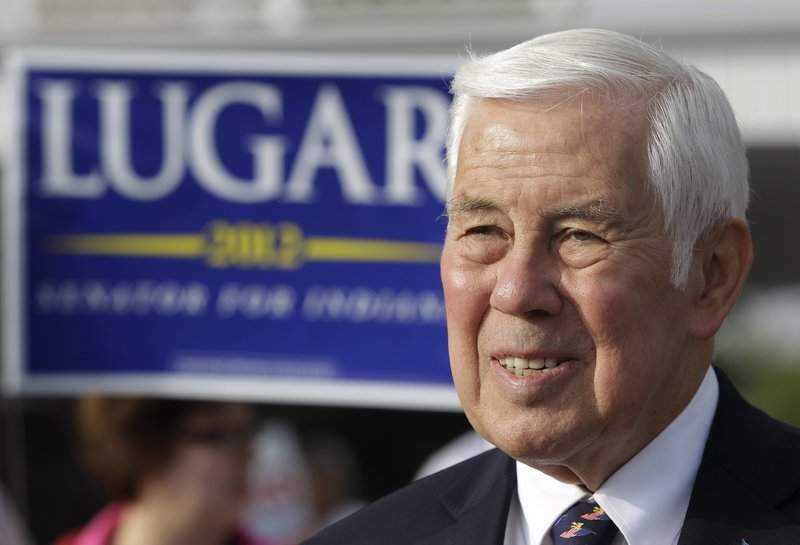 One or two of them might have been enough to annihilate the entire population of Indianapolis when I was a young mayor there,” said Lugar, who was in office from 1968 to 1976. His 36 years in the Senate began in 1977. Lugar had taken a special interest in looking for ways to make things safer, forging a partnership in 1991 with Georgia Democrat Sam Nunn. After the Soviet Union's fall, Nunn and Lugar began pushing Russia and other nations to reduce stockpiles of weapons of mass destruction. The Nunn-Lugar Cooperative Threat Reduction Program provided technical and financial support and other incentives that eventually helped persuade the Russians to deactivate thousands of nuclear weapons. Today, Lugar argues, that same approach could help persuade North Korea's Kim Jong Un to reduce or give up his arsenal. The goal of the talks should be total denuclearization, Lugar said, though it's likely it will take much more than one meeting between Kim and President Donald Trump to achieve that. Lugar is also watching the aftermath of Trump's cancellation of the Iran nuclear deal with deep concern. “I think it was not a wise decision,” he said, noting that the agreement had at least temporarily halted Iran's nuclear-bomb program and canceling it undercuts our allies. But present concerns about Korea and Iran aside, the 1,550 nuclear warheads the United States and Russia each still have pointed at each other have “the greatest potential for destruction,” Lugar said. “We're still in a predicament. Thank goodness, the number of warheads have been very substantially reduced,” he said. Lugar, now 86, is still trying to offer decision-makers constructive alternatives for staving off an accidental or deliberate nuclear catastrophe. That a Hoosier has done so much to lead the way on the world's most important issue should make us all proud.